PEG - Polar Explorer Gorilla - left Living Coasts in Torquay with HMS PROTECTOR, the Royal Navy's Ice Patrol Vessel, for her last deployment in October 2013. 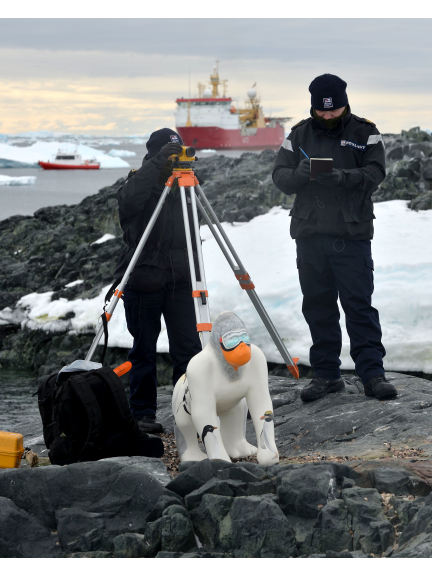 She has since travelled to a range of South, North and Central American countries, along with the Caribbean, British Virgin Islands, South Africa, South Georgia and finally Antarctica, where the crew conducted surveying work and supported the British Antarctic Survey during the austral summer. PEG is probably the first gorilla ever to venture to the Antarctic - and it's all to do with climate change. She travelled as an ambassador for the European Association of Zoos and Aquaria - EAZA - and their climate change campaign called Pole to Pole. 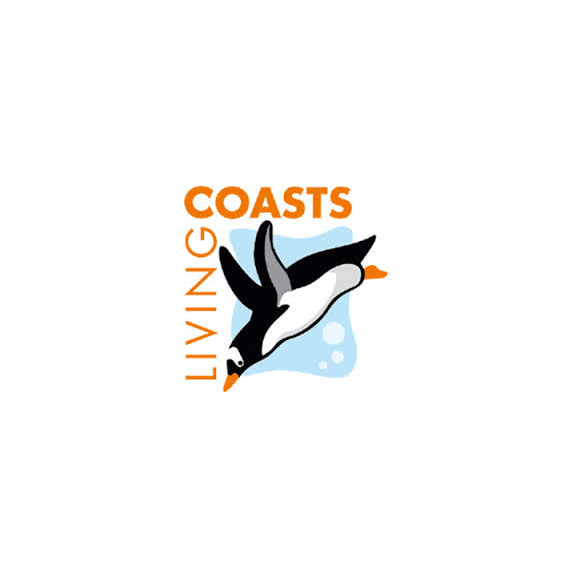 Clare Rugg, from Living Coasts, said: "Living Coasts is home to so many penguins - birds found at and around the South Pole - so both the Pole to Pole campaign and the wonderful offer by HMS PROTECTOR to take PEG with them were perfect for us." The design of PEG includes a macaroni penguin, a species that can be seen at Living Coasts. Protector is currently undertaking a maintenance and training period in UK waters; it’s the first time the ship has been in the UK for over 18 months. 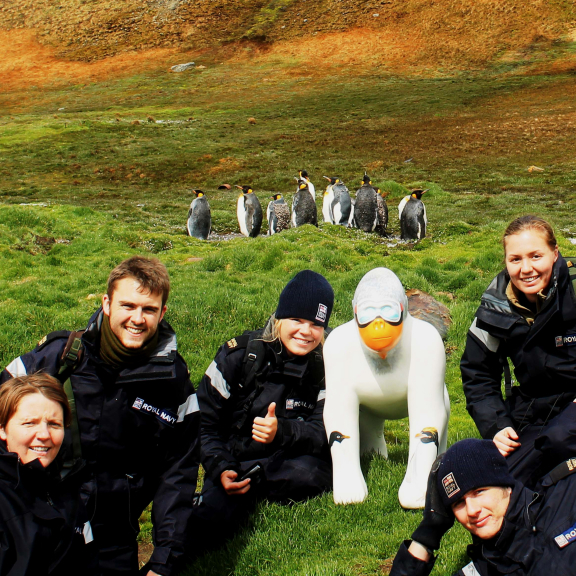 AB (HM) Lauren ‘Sunny’ Parker, from the crew of HMS Protector, who accompanied PEG on the final leg of her journey home, explained: "Unfortunately, due to bad weather, rough seas and what we are calling the 'Great roll of 14' where the ship rolled 47 degrees, PEG has sustained minor damage. We hope she can be repaired - and we would love to take PEG out on our next deployment for more adventures."